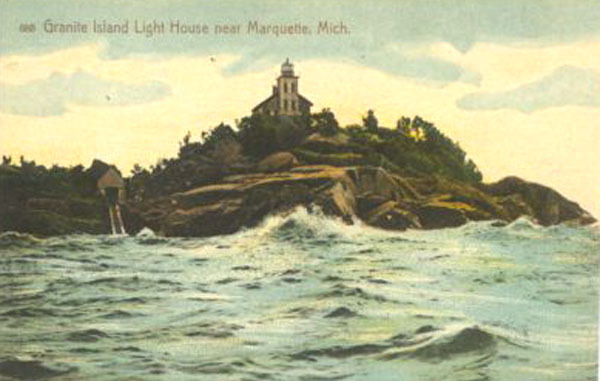 Granite Island from an old postcard. Note the boat house near the bottom left of the photo. Granite Island is now privately owned and has been fully restored. 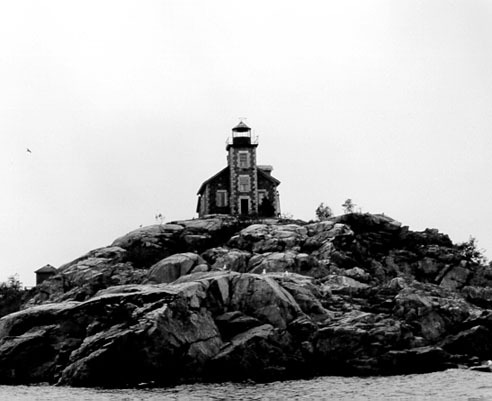 The lighthouse is in excellent condition and the web site to view. Live cameras can be viewed and you can look at restoration photos. Please click on this link to be taken to the Granite Island web site.